If you’re a book worm, there’s a good chance you’ve upgraded to an e-ink device like Amazon’s Kindle to make it easier to wrangle your library. But what about the other paper you’re buried in? 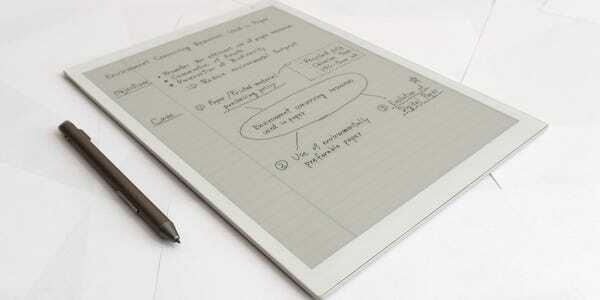 Will e-ink one day be a substitute for all the notepads and sticky notes strewn across your desk? 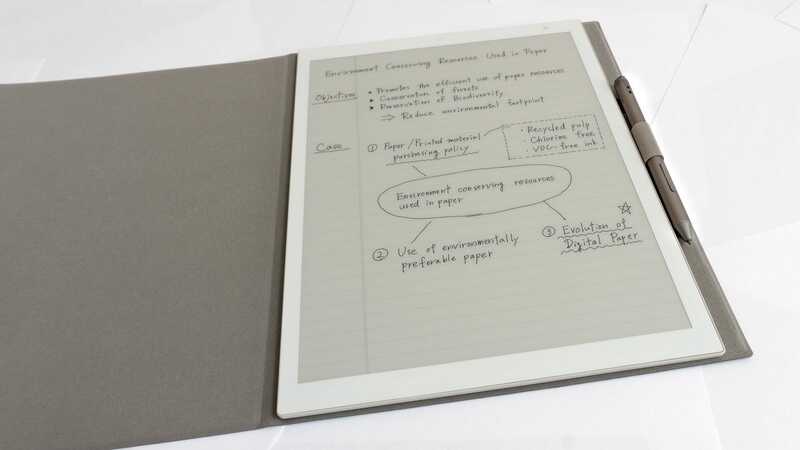 Two companies want to replace every last scrap of paper in your life: reMarkable, whose tablet we reviewed last year, and Sony, whose Digital Paper tablet is a stunning piece of hardware that’s just a software overhaul away from becoming my perfect paper replacement. Having used several iterations of the Kindle, and the reMarkable tablet for the past year, my first reaction when unboxing Sony’s Digital Paper was, “wow, it’s gigantic!” With a 13.3-inch display, the DPT-RP1 is unquestionably the largest tablet I’ve ever handled. It looks almost comically big, and being so large you’d assume that the only way you’d be able to use for more than a few minutes at a time is with the tablet sitting on your lap, or laying on a desk. WHAT IS IT? 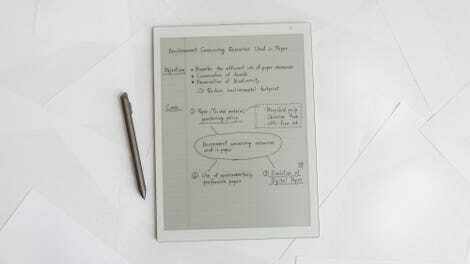 An e-ink tablet with a stylus that can be used to take notes, or annotate documents. LIKE: Stunning hardware with one of the best looking e-ink displays I've ever used. DISLIKE: Software and functionality are very limited compared to the reMarkable tablet. But when you then pick it up, those assumptions all change. The reMarkable tablet comes from a small Norwegian startup, and while they’ve created a great device, when simply holding the DPT-RP1 you’re reminded that Sony is a massive corporation, who’s been making e-ink devices for decades, and has the money and resources to design and execute some truly beautiful hardware. 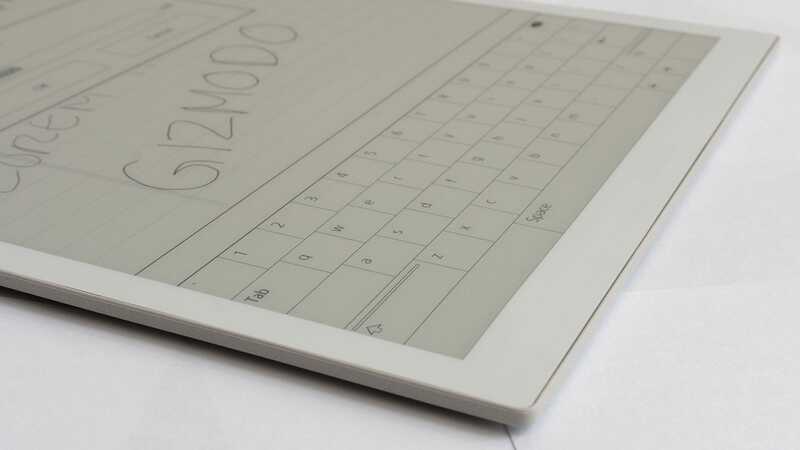 Its Digital Paper tablet is shockingly light, to the point of feeling like a piece of stiff cardboard in your hand. 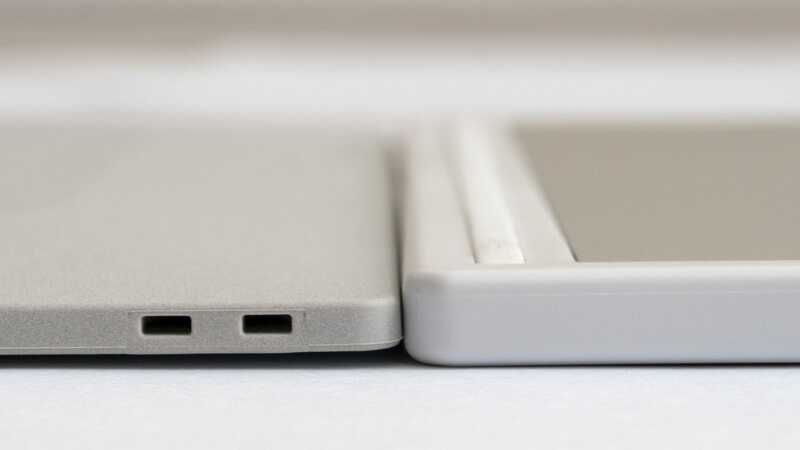 The tapered edges feel incredibly thin, and you can easily hold it in one hand for hours while reading or taking notes. Picking up the Digital Paper tablet for the first time was one of those rare times when a gadget managed to put a smile on my face. The Sony DPT-RP1 on the left, compared to the smaller reMarkable tablet on the right. The Sony DPT-RP1 (left) is slightly thinner than the reMarkable tablet (right), but feels better when held thanks to tapered edges all the way around. Sony’s tablet also feels a little lighter, despite its larger footprint. That being said, I find the 13.3-inch DPT-RP1 a little large for my needs; the reMarkable tablet is a little easier to squeeze into the bags I regularly carry. 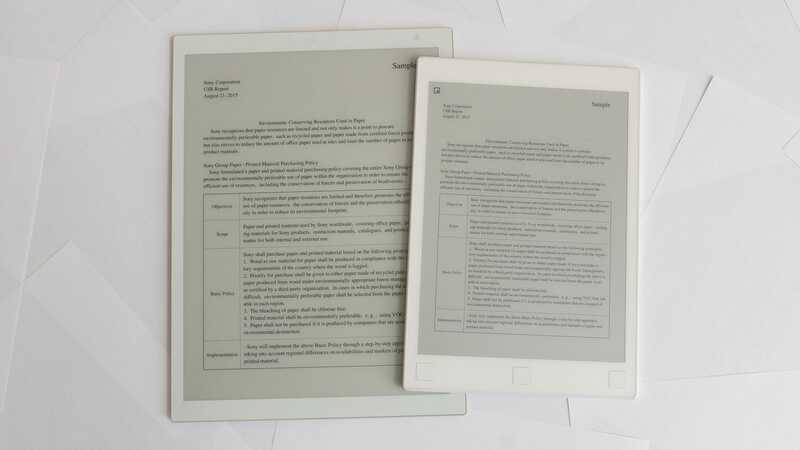 Sony actually positions the DPT-RP1 as a tablet for scholars, researchers, lawyers, or anyone whose work involves regularly pouring through research papers, briefings, and other cumbersome documentation. Sony’s 10.3-inch DPT-CP1 is probably a better solution for me, but I have to admit that reading PDFs on the DPT-RP1's giant screen is an absolute pleasure – and I wish ePubs and other ebook formats were natively supported like they are on the reMarkable. This is what Sony has specifically designed the tablet for, and this is where it excels. >The most beautiful e-ink display you’ll ever lay eyes on. The E Ink screen it uses is beautiful, with high contrast levels that make very fine text easy to read, even when the lighting isn’t ideal. (There’s no backlight on the DPT-RP1.) Were it not for a very fine and faint grid visible over the screen at all times (which is part of the display hardware used to recognise the stylus) you’d actually be hard pressed to tell you were looking at digital paper, and not notes written with a black pen. The DPT-RP1's stylus includes two additional buttons for quickly accessing additional functions like erasing notes, or highlighting text. 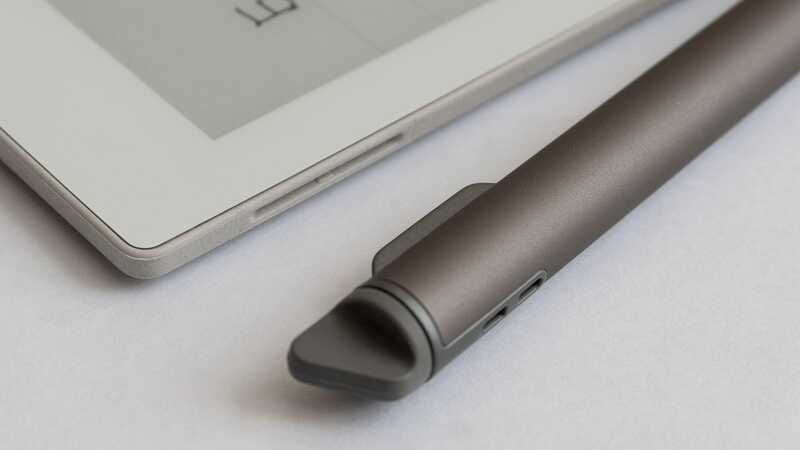 A small magnetic tab lets you attach the stylus to thin slots found on either side of the Digital Paper tablet, but it doesn’t hold as securely as the Apple Pencil does to the iPad Pro. The biggest downside to Sony’s Digital Paper tablets is having to charge the stylus, which you’ll frequently forget to. Sony’s stylus is a little thicker than the reMarkable tablet’s, but I really like having the additional shortcut buttons. The DPT-RP1's stylus is hit and miss for me. 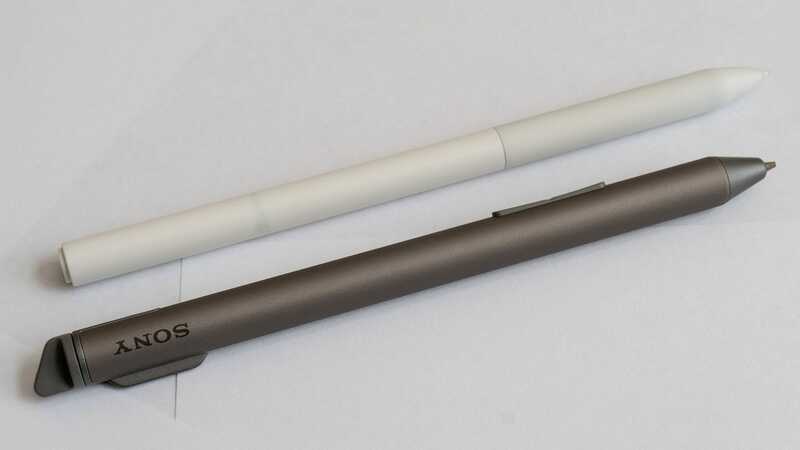 It’s slightly thicker than the reMarkable’s stylus, but that’s a minor trade-off given Sony has managed to include a pair of buttons as you’d find on the side of a Wacom stylus. Pressing one button temporarily switches the stylus to eraser mode, while the other switches it to highlighter mode. It’s a feature I’d actually really like to see added to the reMarkable tablet, which instead requires you to open an on-screen menu to change the stylus’ functionality. It also needs to be regularly charged, which can be a pain. Apple’s approach to stylus charging, where the Apple Pencil 2 inductively charges whenever it’s magnetically attached to the side of the iPad Pro, is an elegant solution. 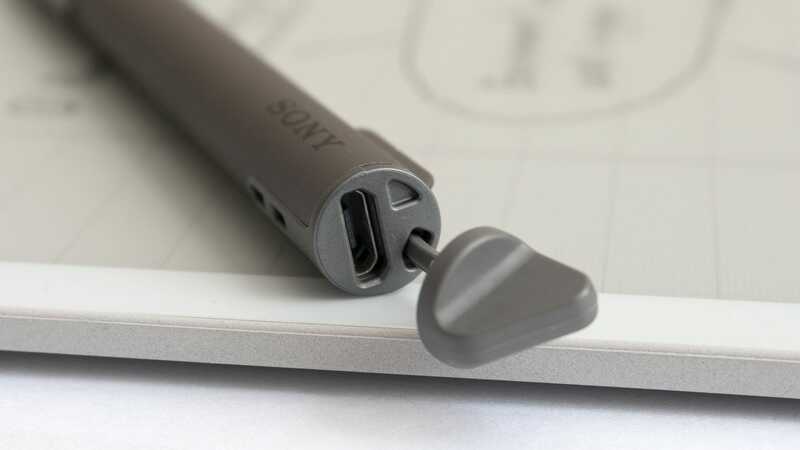 Sony’s approach, where you pop a cap off the end of the stylus and plug in a microUSB cable, is not. But when it comes to stylus-driven devices, what matters most is the lag between the stylus and screen – or, more specifically, the lack of it. When using an actual pencil, your strokes appear instantly on a piece of paper. 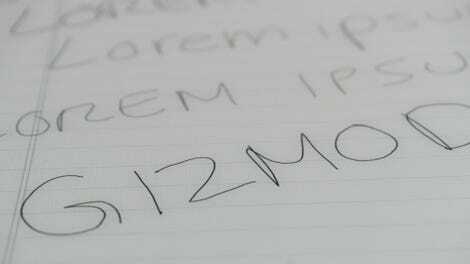 That’s how your brain learned to write, and what it expects when using a stylus on a digital device. Any lag between the two can feel unnatural, and that was my biggest complaint with the reMarkable tablet. There’s a bit of lag between the stylus and the DPT-RP1's e-ink screen, which makes the reMarkable tablet feel like a slightly better writing experience. To that team’s credit, through countless software updates over the past year, the writing experience on the reMarkable tablet is now excellent, to the point where there’s virtually no lag at all. Sony’s DPT-RP1 isn’t quite there yet. As the above GIF demonstrates. As I’m making simple strokes with the stylus, you can see the drawn line working to catch up to its tip. At times it can make writing feel unnatural, or like you need to slow down for the hardware: which is a compromise you shouldn’t have to make. 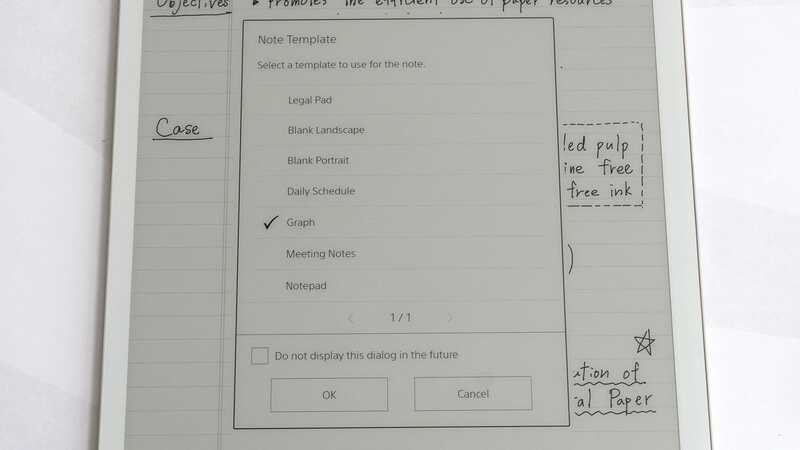 One of the reasons hand-written notes look so beautiful on the DPT-RP1's screen is because it’s actually smoothing them out after you’ve finished a stroke. 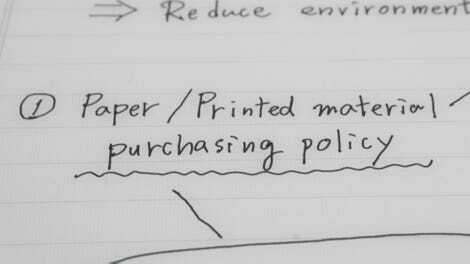 During my testing of the Digital Paper DPT-RP1 I also figured out why hand-written notes look so much better on its e-ink screen than they do on the reMarkable’s. It’s subtle, but if you watch the GIF embedded above, after I finish writing GIZMODO you’ll see the DPT-RP1 actually go back and smooth out the strokes I’ve made with a quick screen refresh. Hand-written text looks lovely, but at what cost? The reMarkable tablet doesn’t do this, and I can’t help but feel this extra smoothing step is actually a detriment to the DPT-RP1's writing experience. 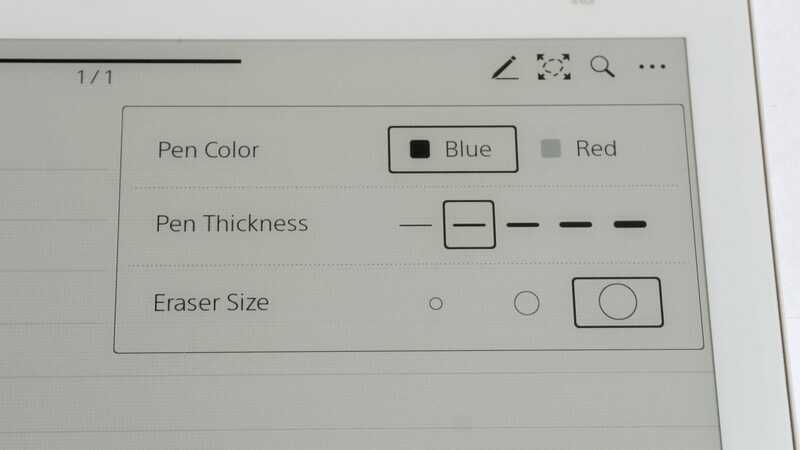 I would happily live with rougher-looking text if it meant the Digital Paper tablet was able to match the reMarkable tablet’s excellent pen-on-screen functionality, and a simple option to turn this smoothing off in the DPT-RP1's settings would be a welcome improvement. 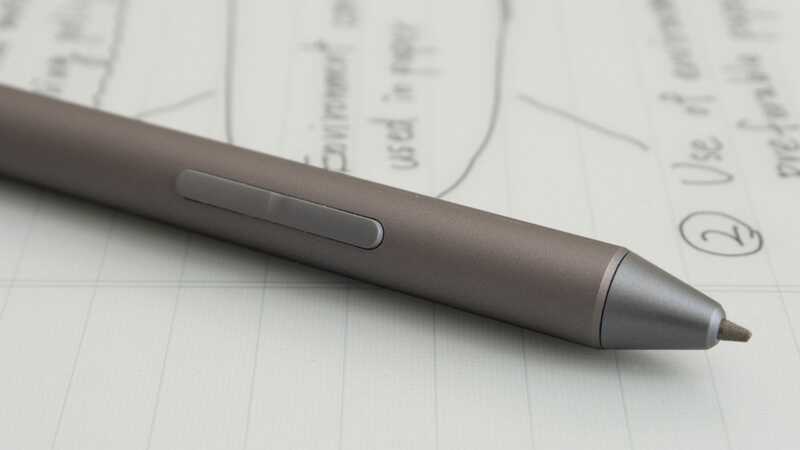 Sony has taken a much simpler approach when it comes to customising the functionality and appearance of the stylus. Compared to the reMarkable tablet, the DPT-RP1's selection of document templates is very limited. There’s a software keyboard for renaming documents, but for whatever reason you need to use another device to connect the tablet to a wi-fi network. For whatever reason, Sony hasn’t positioned its Digital Paper tablets as the ultimate note-taking alternative to a pen and paper. The stylus functionality is mostly geared towards annotating and commenting on existing documents. As a result, the tablet’s software feels severely limited, especially when compared to devices like the reMarkable tablet whose team continues to add new features and improvements through frequent updates. An optional folio-style case is available for the DPT-RP1, which also provides a better way to store the stylus. 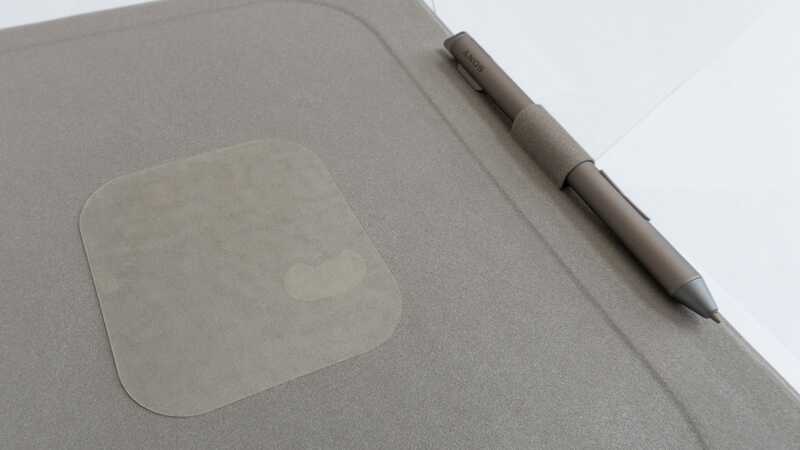 But the tablet is held in place using a big sticker, so once the folio case is attached, removing the DPT-RP1 is no easy task if you decide to go case-free again. Having used the reMarkable tablet for the past year, I was frustrated by what the DPT-RP1 can’t do. There’s limited customisation for the stylus, there’s no ability to convert hand-written notes to editable text, the selection of templates when you create a new note is sparse, and file management can be downright frustrating. Clearing out a long list of notes I quickly created during testing required so many menu taps that I actually considered just reformatting the tablet back to its factory settings as a shortcut. 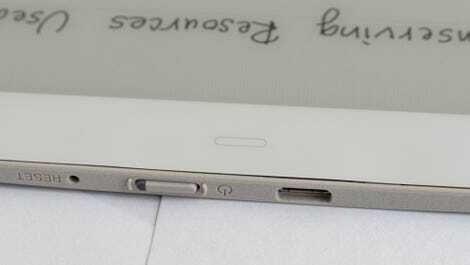 Putting the ‘home’ button (that small white outline) on the top of the DPT-RP1 feels like an odd choice, as does placing the microUSB charging port up there. Syncing documents between other devices is a streamlined process over wifi or NFC, and accompanying apps are available for smartphones and Windows/Mac OS machines so getting your notes on and off the DPT-RP1 is easy enough. But it took quite a bit of time to just get the tablet connected to my home’s wifi network. The DPT-RP1 does have an on-screen keyboard that pops up for renaming documents, but to connect to a wifi network you actually have to connect the tablet to another device, like a laptop, where you select your network and enter the password. It shouldn’t be that complicated! I wasn’t completely sold on the reMarkable tablet after reviewing it a year ago, but the company has improved the tablet’s software and functionality by leaps and bounds since then, and now I can’t imagine carrying around a pad of paper for notes ever again. That being said, I would switch to the Sony Digital Paper in a heartbeat, were it not so far behind the reMarkable tablet in terms of its software. The hardware is gorgeous, and it will be a very long time before the reMarkable team can outdo Sony there – if ever. But the DPT-RP1 could be so much more than just a device for marking up documents; it could potentially be the perfect replacement for pen and paper if Sony put as much effort into its software as it has with the hardware. Were the Digital Paper and reMarkable teams to join forces, I don’t think I’d ever need to pick up a pen or pencil ever again.